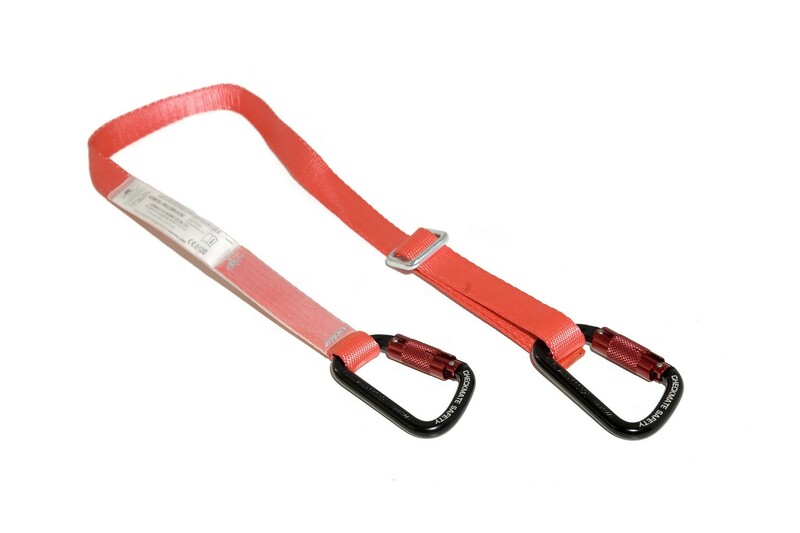 Fixed restraint lanyard with alloy twistlock karabiners. A lightweight lanyard manufactured from 25mm water-repellent and UV-resistant polyester webbing ; with contrast colour stitching for easy inspection; and clear heat seal labels to protect from wear or damage. Not to be used for fall arrest. Conforms to standards: EN358 & EN354. Comes with a certificate of conformity.